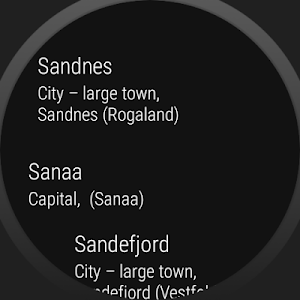 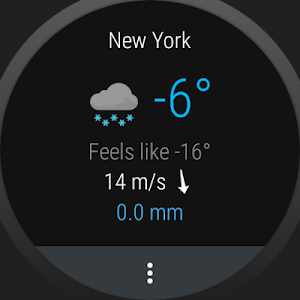 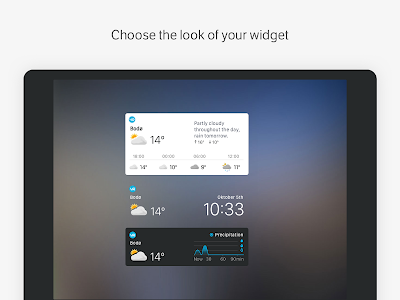 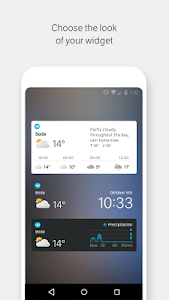 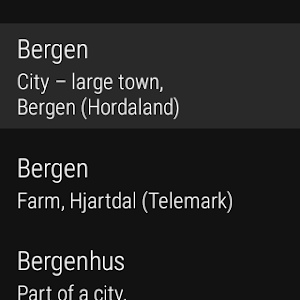 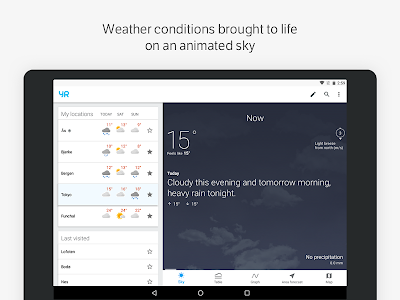 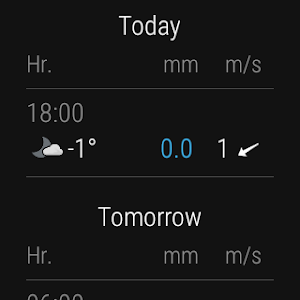 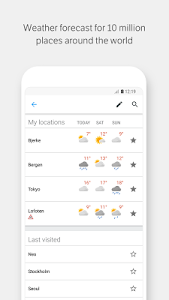 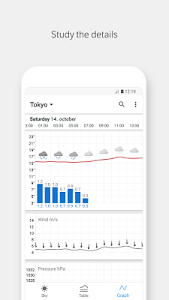 New Yr on Android is different from anything else you’ve seen in weather forecasting: Scroll through a beautiful and animated sky to see how the weather changes hourly, and get all the need-to-know details at the same time. 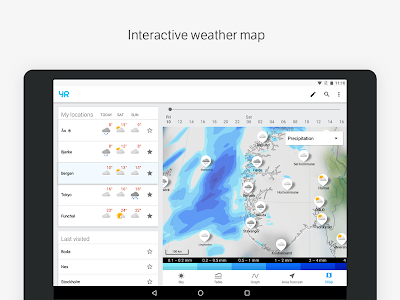 • Weather conditions in a visualized 48-hour forecast, with animated clouds, rain, snow and fog + details about wind, temperature and severe weather warnings. 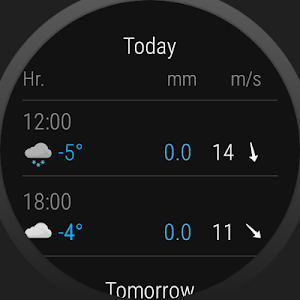 • Long term forecast in table – hour by hour the first three days. 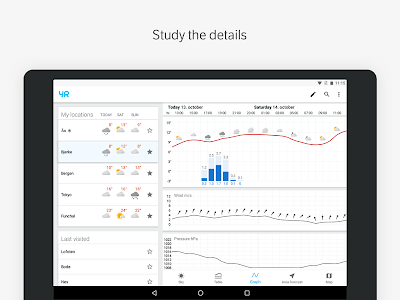 • Graph with more details on weather, temperature, wind and pressure. 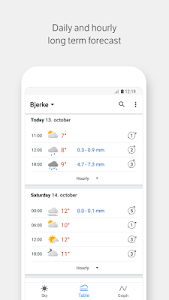 • Live 90-minute precipitation forecast – our most accurate and updated rain forecast (only in Norway). 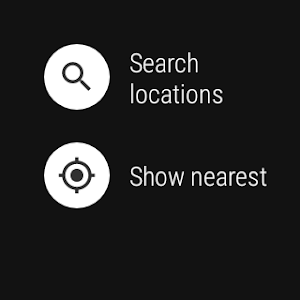 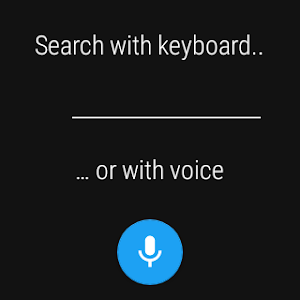 • Easy navigation between sky view, table and graph. 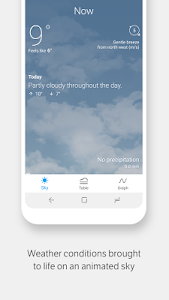 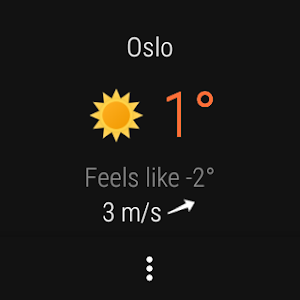 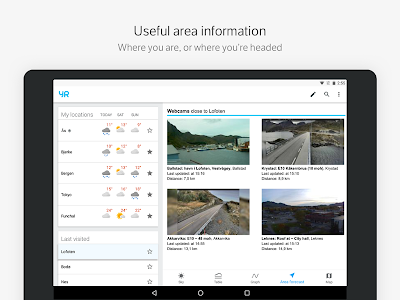 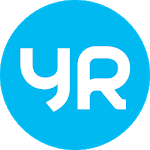 • Weather from 10 million places around the world with option to save your favorite places.